Asterisk provides a free and open source framework for building communications applications. It powers IP PBX systems, VoIP gateways and conference servers used by small, midsized, and large organizations worldwide. We compiled Asterisk user reviews from around the web and determined that it has generally positive ratings. We also shared its available pricing options. Users who recommended Asterisk said that it has a stable VoIP system. They also said that it is highly functional and can be easily integrated with various operating systems. Users who gave Asterisk negative reviews said that it requires intensive training in order to use the program correctly. Some of them also said that it could be complicated to set up and troubleshoot. Asterisk doesn’t publish rates on their website, but according to a third party site prices range from $595 to $7,995 per year. The system features call recording, call forwarding, call routing, blacklists, call queuing, call waiting, caller ID, blind transfer, call snooping, caller ID blocking, authentication and conference bridging, SMS messaging, trunking, transcoding, text-to-speech conversion, and more. Quiz: Which VOIP Provider is Best for You? Do you make a lot of international calls? What’s your monthly bill per user? Which major features are most important to your business? 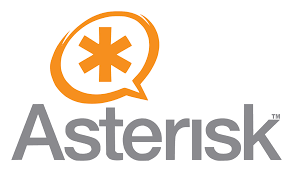 Check out the list below of some of Asterisk’s features. Best VoIP Provider for Small Businesses in 2018 – We looked at the most popular providers and rising stars that covered the range of options for small businesses in terms of available features and price. VoIP Speed Test — How Many VoIP Phones Can Your Internet Connection Support – Before you install a VoIP phone service for your small business, make sure you know how to measure your internet connection’s ability to manage the traffic. 4-Line Phone System vs. VoIP: Which is Better – Learn why it is time for your business to upgrade your 4-line phone system to a VoIP provider. VoIP vs Landline: What’s the Best Small Business Phone System – Learn about the advantages and disadvantages of voice-over-IP (VoIP) and traditional landlines. Explore both technologies so you can decide on the best solution for your business. Things to Consider When Setting up VoIP Phone Service – Learn everything you need to find the best VoIP phone service provider for your needs. Instead of a free trial, interested users may attend Asterisk’s live classes or take online courses. What types of business can benefit from Asterisk’s services? Asterisk can be used by a wide range of small and large businesses such as call centers, carriers, and government agencies. This video shows the basics of installing and configuring Asterisk. Not sure if Asterisk is the right fit for you? Read our reviews of all top VoIP service providers. Asterisk allows to set-up a VoIP/TDM infrastructure quite easily at a reasonable price. Asterisk can also be set-up on a cloud server to get a centralised VoIP network. Moreover Asterisk is open to add-on and customisation for software editors that need to integrate telecom functionalities to their solution. As Asterisk is a software, it is not doing codec transcoding with dedicated hardware, so voice quality is reduced when you have peers with different codec possibilities. Asterisk is a free software that anyone can installs on a Linux system. However you need to know that if you need TDM interfaces, you need a dedicated hardware card (which cannot be free of course). If you need need codec transcoding (g729 for instance), you need dedicated licences. And if you want a easy-to-use management interfaces, there are various free and paid solutions, but I would go for a paid solution with service included. Asterisk does a great job of providing standard PBX features for an office environment. It can even be used to connect geographically disparate locations in to one cohesive phone system. It is not really meant for ordinary people to configure and maintain. You need a great deal of knowledge about how asterisk works, how to maintain an operating system (linux usually), and how to connect your asterisk system to SIP or PSTN circuits to enable calling. There is no price to purchase Asterisk. It is free, open-source software. What's the Best VoIP Software?